Is your company hiring for technology positions in Phoenix and throughout Arizona? 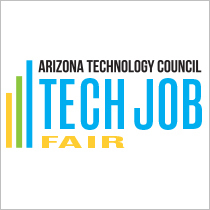 Consider exhibiting or sponsoring next Wednesday’s Tech Job Fair, presented by AZTC and TechFetch.com at the W Scottsdale from 2:30pm – 5:30pm. You’ll meet local talent face-to-face and each exhibitor receives a table (and two chairs! ), company name listed on all Tech Job Fair promotions, 10 job postings on TechFetch.com and 100 resume views from TechFetch.com. Interested? Email marketing@aztechcouncil.org for more details.